Portrait of Thomas Jefferson by Rembrandt Peale, 1800. Courtesy of the White House Historical Association. In addition to drafting the Declaration of Independence and playing a pivotal role in the formation of the United States, Thomas Jefferson has a firmly rooted presence in American food history. A naturally curious and creative individual, Jefferson embraced the relationship between garden and table. 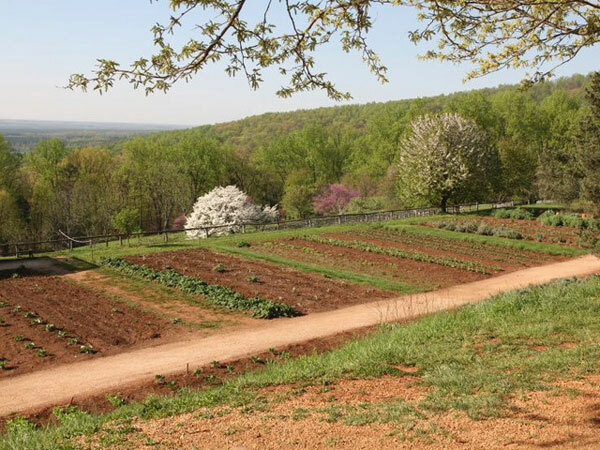 His Virginia plantation at Monticello was a place of horticultural creativity and ingenuity; his gardens were home to a number of unique (what would now be considered heirloom) vegetables and fruits. As Minister to France, Jefferson learned a great deal about French cuisine and cooking methods, often recording recipes in his own hand. While in Washington, he became know for hosting the finest dinners the President’s House had ever seen. Jefferson’s Monticello kitchen blended Southern Virginian cooking styles with Continental cuisine; the meals also reflected the African cooking influences of his enslaved staff. Jefferson made an important impact on the national culinary consciousness, combining food traditions from the Old World and the New World to create a new and uniquely American approach to cooking. While living at Monticello, Jefferson kept a detailed notebook about his kitchen garden, recording the planting of hundreds of varieties of fruits, vegetables, and herbs. He was always in search of new additions to his garden collection. He and his staff cultivated all kinds of food plants, from Italian grapes to French tarragon to Texas peppers to Irish wheat. He was known to admire Continental gardening styles, and used the book “Observations on Modern Gardening” by British author Thomas Whaley as a resource when planning his own gardens at Monticello. 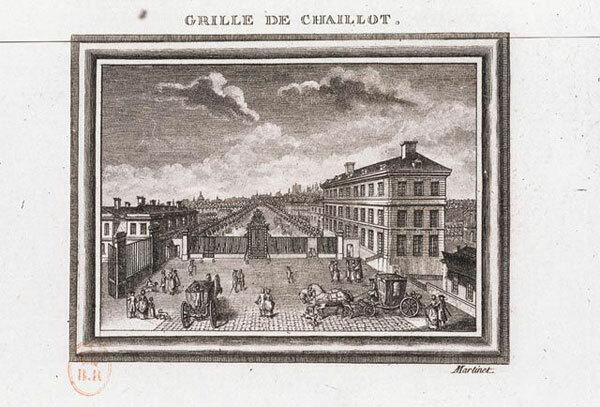 Jefferson was drawn to Whaley’s description of the ferme ornée (ornamental farm) concept, a style of garden that combined the agricultural working farm with the beauty of a pleasure garden. The style is reflected in the ornamental yet functional design of the gardens surrounding Monticello. The records he kept of the various vegetables and fruits he planted have proven extremely helpful to food historians, providing insight into the burgeoning culinary identity of the newly formed American colonies. Always observe to lay your meat in the bottom of the pan with a lump of fresh butter. Cut the herbs and roots small and lay them over the meat. Cover it close and put it over a slow fire. This will draw forth the flavors of the herbs and in a much greater degree than to put on the water at first. When the gravy produced from the meat is beginning to dry put in the water, and when the soup is done take it off. Let it cool and skim off the fat clear. Heat it again and dish it up. When you make white soups never put in the cream until you take it off the fire. Jefferson’s House in Paris, courtesy of the University of Virginia. Jefferson was appointed Minister (plenipotentiary) to France from 1785 to 1789. While in Europe, he spent a good deal of time exploring French cuisine and cooking methods. He brought a trusted slave named James Hemings with him on the journey to learn the art of French cookery. When Jefferson took the Oath of Office in 1801, one of his first priorities was finding a suitable French chef for the President’s House kitchen. During Jefferson’s time, and for several decades after, Americans considered French food, serving styles and social graces the ultimate in refinement. We can still see this fondness for French food styles in the United States today. Asparagus became widely available in America during Colonial times, and was a particular favorite of Thomas Jefferson. The recipe that appears at the end of this post is from The City Tavern Cookbook, a terrific collection of Colonial period recipes compiled by Walter Staib. Staib is host of the PBS TV series A Taste of History, as well as executive chef at The City Tavern Restaurant in Philadelphia. 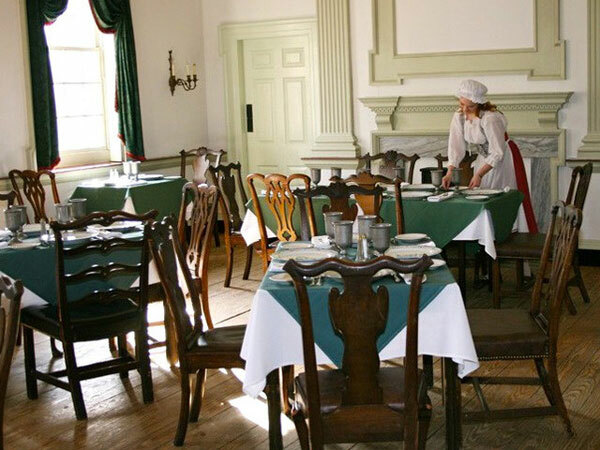 The City Tavern opened in 1773, and played host to the Founding Fathers of our country during the late 18th century. The original City Tavern structure was destroyed in a fire and demolished in 1854. In 1948, Congress commissioned the historically accurate reconstruction of the building on the original construction site. The Tavern reopened in 1976, and in 1994 restaurateur Walter Staib took over as chef. Food continues to be prepared at the Tavern in the traditional colonial style. City Tavern was the unofficial meeting place of the First Continental Congress. The dishes in this cookbook were enjoyed by the likes of Thomas Jefferson, Benjamin Franklin and John Adams. Many of the recipes are French in origin. Given Jefferson’s preference for vegetable-based cuisine and his particular love of French food, this dish would likely have been high on his list of favorites. Jefferson had a square in his Monticello garden reserved for asparagus; it was one of the few vegetables for which he documented a cultivation technique (the plants were mulched with tobacco leaves). Jefferson recorded its seasonal arrival at his Monticello table 22 times, usually in early April. Given how much asparagus grew in the gardens at Monticello, Hemings may very well have prepared asparagus this way for Jefferson and his dinner guests. I have adapted this unique Colonial asparagus preparation just slightly by recommending a few minutes for marinating (to allow the flavors to soak in) and an extra garnish before serving. I also recommend using olive oil for the dressing, rather than the vegetable oil called for in The City Tavern Cookbook. According to paperwork found in his archives, Jefferson had olive oil shipped to him from Bordeaux after his time in France, so it would not be out of place to use it in this recipe. The flavor of olive oil suits this dish well. The vinaigrette dressing is mild and infused with fresh thyme. It can be prepared a day ahead if desired– if you do this, the egg pieces will “pickle” in the vinegar and turn a pretty purple color. An additional garnish of hard-cooked egg and fresh chopped parsley gives it a special touch. This is a very unique vegetarian side dish, and a lovely taste of history… perfect for celebrating Jefferson and his contribution to American independence. This Marinated Asparagus recipe was inspired by Thomas Jefferson's Monticello plantation. 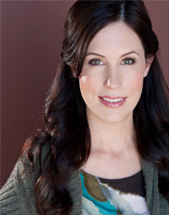 Learn more from Tori Avey on The History Kitchen blog. You will also need a large saucepan and a medium mixing bowl. Jefferson, Thomas (collective works compiled 1984). 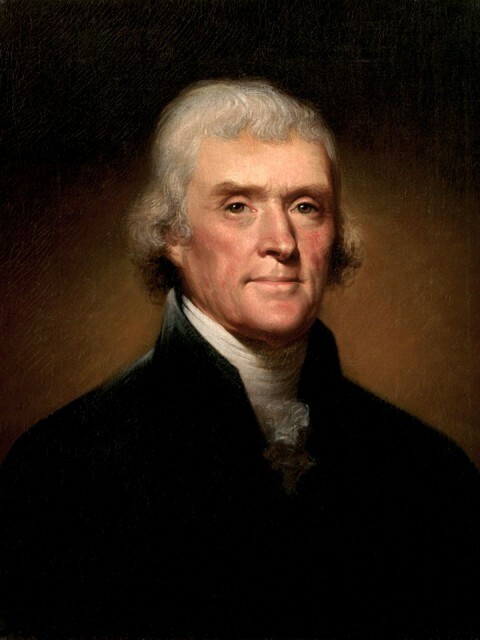 Jefferson Writings: Autobiography, Notes on the State of Virginia, Public and Private Papers, Addresses, Letters. Library of America, Des Moines, IA. The Meikelham and Trist Manuscripts as printed in Dining at Monticello (2005), transcribed and edited by Damon Lee Fowler. Thomas Jefferson Foundation, Inc. University of North Carolina Press, Chapel Hill, North Carolina.